Ales Herasimenka, the spokesperson of the Business Union of Entrepreneurs and Employers named after Prof. M.S.Kouniavski (BUEE) and deputy editor of the weekly magazine "Belarusians and Market" was interviewed by BelSat on November 13th 2018. The subject of the interview was the E40 inland waterway, which Mr. Herasimenka considers to be an attempt to sink millions of dollars and an ecological catastrophe for the country. An exceptionally dry summer in 2018 has caused havoc across Europe. It has been Germany's second warmest (only 2003 was warmer) and the second-driest (only 1911 was drier) since records began in 1881. The combination of warm weather and 40% less rainfall than the long-term average has resulted in the most arid April to October period in recorded history. The initiative involves the planning and construction of the E40 waterway by dredging operations, for the implementation of the container and bulk cargo transportation on the Dnipro river to Belarus. 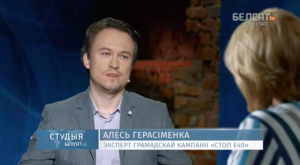 Volha Kaskevich, from Bahna, the coordinator of the Belarusian Environmental Alliance says: “The Ukrainian authorities are trying to revive the water transport system of the country, which has sunk into degradation after the collapse of the Soviet Union for a reason. 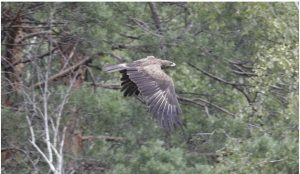 The E40 project is questionable, because it has undergone neither strategic environmental assessment nor environmental impact assessment." In Poland, the preliminary cost of E40 is calculated at 11.9 billion euros. Both the European Investment Bank and the European Bank for Reconstruction and Development stated that in order to make the decision on financing the project, they first need to assess its environmental and social impact. The Belarusian environmental alliance is very concerned about the fate of the Pripyat, one of the last prominent intact rivers in Europe. This region is of international importance from an environmental and touristic perspective. 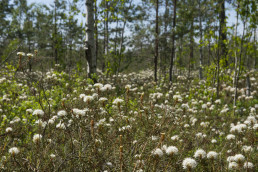 "We envision a completely different development scenario for the Polesia and Chernobyl zone in the coming years. 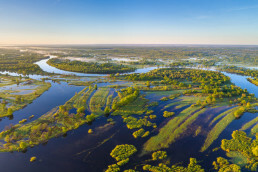 Belarus can create a new world heritage site that will bring vastly more wealth to the country in the future than industrial development and the transformation of the main aorta of the region into a canal." adds Volha Kaskevich. “There is no guarantee that the port will be able to become indispensable for any significant amounts of cargo. Taking into account these and other circumstances, the reservation of the investors is more than justified. 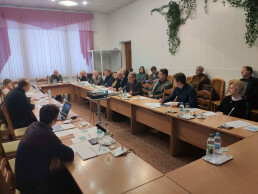 It's clear why, despite the repeated presentation of the project to private donors, there is still no one willing to invest in this facility”, notes Ales Gerasimenko, deputy chief editor of the Belarusians and the Market weekly and press-secretary of Business Union of Entrepreneurs and Employers n.a. Kunyavski. The construction of the port and the infrastructure for it on this territory is fraught with serious environmental problems. “If you look at the map, the village of Nizhniye Zhary is located in the area contaminated by radiation, it's only 20 kilometres away from Chernobyl, in the vicinity of the exclusion zone. It is interesting that the existing documentation on the restoration of the E40 waterway only briefly mentions that the waterway will pass through unsafe places inundated with radionuclides. We believe that a significant part of the rationale against the construction of the waterway should be devoted to the radiological component. Dredging will raise silt particles contaminated by radioactive isotope caesium-137 which settled there after the nuclear accident in 1986. 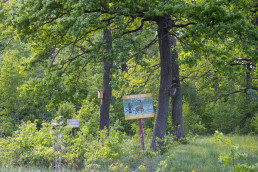 Particles can be carried into the Kiev reservoir, which supplies drinking water for the 2.8 million inhabitants of Kiev”, asserts Volha Kaskevich. The commission's report on the financial viability assessment states that throughout the route it is necessary to provide a minimum water depth of 2.5 metres, which involves large-scale dredging. 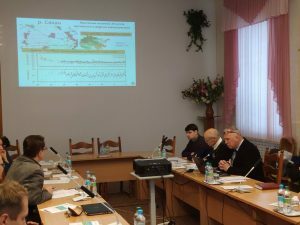 However, inconsistent rainfall in Belarus results in periods of insufficient water level in rivers for functional navigation. According to Maria Germenchuk, deputy head of the Republican Center for Hydrometeorology, Radioactive Contamination and Environmental Monitoring (Belhydromet) under the Ministry of Natural Resources and Environmental Protection, who spoke at a press conference in October last year to a the current situation is dangerous for large vessels. 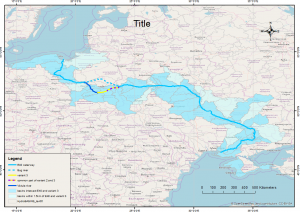 The construction project involves major changes to the stream conditions of the Rivers Vistula, Muchaviec, Pina, Pripyat and Dnieper, and the Dnieper-Bug Canal - all of which would make up the waterway. 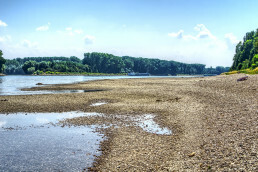 New levees and dams could appear on the pristine rivers, their course straightened and their banks covered in concrete. Design work started in late 2013 with the implementation of a feasibility study, which is ongoing today. The rivers are currently not navigable by the vessel category in question, so implementation of the project would require a large amount of river development, which would cause significant interference with the river ecosystems.